Using your smartphone for digiscoping can be fun and rewarding, but also challenging. One of the the more challenging aspects is locking the exposure and focus in on the subject you're photographing. If your subject is not in focus, the resulting video or picture can be undesirable. Therefore, figuring out a way to optimize your settings is essential for producing high quality content! An easy way to remedy this situation is to lock the focus on a specific point on the phone screen. You can do this by simply tapping and holding your finger on the screen until the focus locks. This can usually be accomplished within the standard camera app on most phones (Note: this may only work on newer smartphones or in some 3rd Party apps). 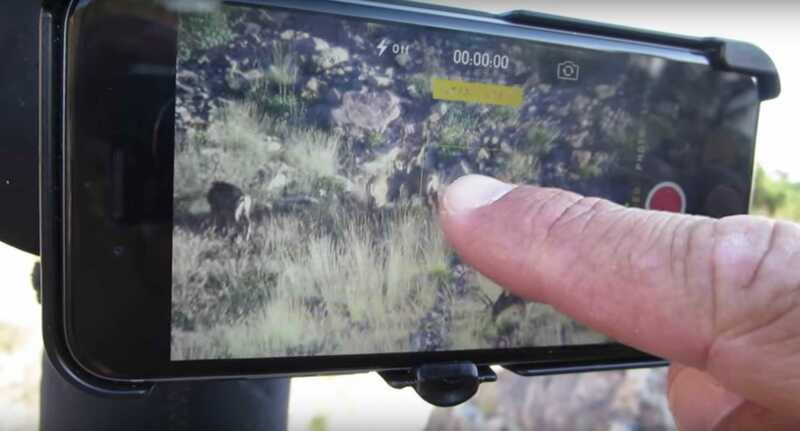 In the video below, Zac Griffith demonstrates how easy it is to use the built in autofocus feature on the iPhone to improve the quality of the video. He also shows the difference between the video quality when using autofocus and when autofocus is disabled. If you have any other tips, tricks, or tactics for improving quality of pictures and videos captured using your smartphone and optics, please let us know by sending an email to support@phoneskope.com!